Each week, campers have a selection of workshops and programs that develop creativity, curiosity, confidence, caring and connections. Each day presents a balance of open ended explorations and opportunities to develop new skills, alongside new friends. A Day in the Life of Camp Wildcraft…. 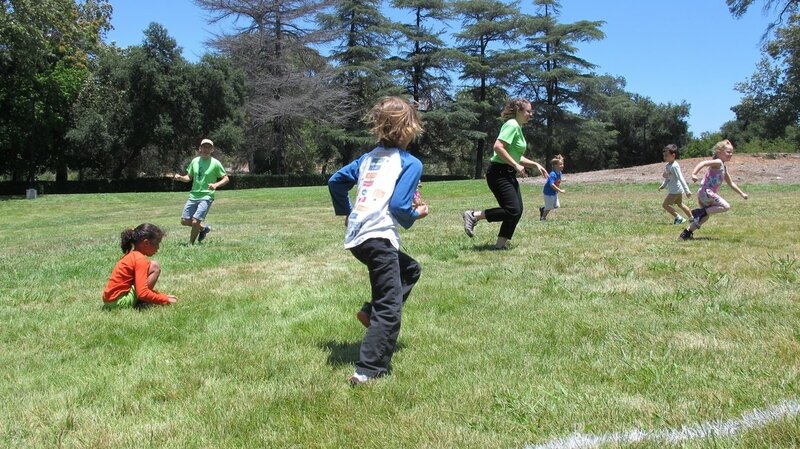 Campers arrive: drop off while greeted by counselors; head to open art and play stations. All out in nature--During the cooler morning hours we hike, paint and draw on the trail, identify birds and insects and plants, and have scavenger hunts and games on the trail. Campers document their daily experiences in nature with images & words in a journal they create on the first day of camp. Group Projects--Each week we have a different theme which we explore through adventurous projects using a wide array of mixed-media art techniques, stuff we find on the trail, as well as wood, clay, collage & more! Camper Choice Activities--We believe that kids should have space to follow their curiosity and interests. In the afternoons campers choose from a changing array of fun and skill-building activities such as drawing with homemade oak gall ink, paper-making, theater games and production, navigation and outdoor skills, watercolor painting, cooking and baking, fiber arts, candle-making, print-making, wood working and more. Group Play-- Campers gather for all-camp activities--team building games in the field, constructing forts in our Wildcraft Village, water games, camp songs and more-- along with time for popsicles or watermelon. Our Mission is to equip campers with the skills and experiences they need to actively explore, learn from, and enthusiastically engage with the world around them. Our Outcomes articulate how campers will be changed as a result of being at camp. At Camp Wildcraft we design all aspects of our program with our outcomes in mind, from our daily activities, to how to support friendships and team work, to how to train counselors. Have diverse opportunities for creative, social and emotional growth by building new skills, friendships and mentoring relationships with responsive adult staff. Have a greater comfort in, connection to, and responsibility towards the natural world that surrounds us. Develop an enduring sense of wonder, curiosity, and independence nurtured by the creative arts and by exploration of their environment. Our Campers Make Awesome Art! As an art and nature camp, we take art-making to new heights. There are no "cookie-cutter" projects here, rather we introduce campers to a surprising range of materials and techniques, unleash their creativity and imagination while building new skills. Our core camp values, which are intentionally fostered through our activities and relationships with the campers, are Confidence, Creativity, Curiosity, Caring and Connection. We think summer camp is the ideal place to develop and practice these values, and build emotional intelligence, through teamwork, exploration, safely pushing limits, and building genuine connections with new friends and caring counselors. The matrix below shows the qualities we explicitly foster and develop each day.